These were the bold words of a one 28-year-old East Atlanta rapper named JID who, on the confidence of his debut album, DiCaprio 2, going number one on the Rap/R&B iTunes charts in the US, Canada & Australia and number two in the UK, made a declaration that has sparked banter. The challenge was said Tuesday (Nov 27th) in an interview with Complex but a day out from the release of his debut studio album which dropped that Monday (Nov 26th). Out of outright respect for the stronghold TDE has had on the game, thinking any label, let alone a bunch of underground talents, could upset their reign seems unlikely, but Dreamville’s newest signee, JID, thinks just that. They’re both formidable labels and they’re both respectably ran. They present different sounds but are both masters at what they do. They both have front-runners who are arguably the best at their craft and both have had chart and tour success. Who’s to say Dreamville is out of the bout? 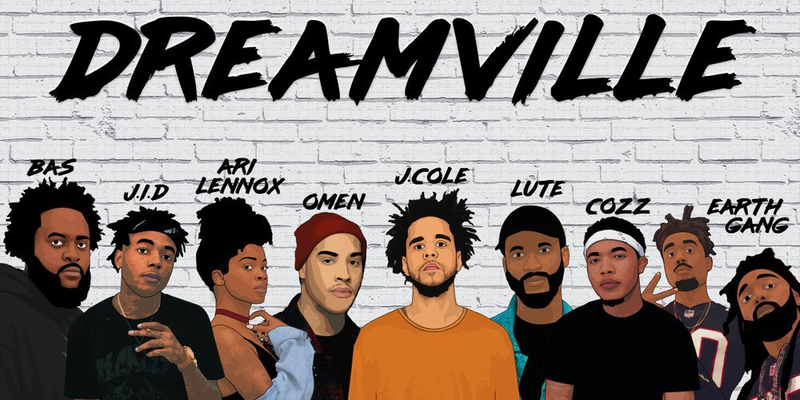 On the Dreamville team, we’re looking at J. Cole, JID, Bas, Cozz, EarthGang, Omen, Lute, and Ari Lennox. 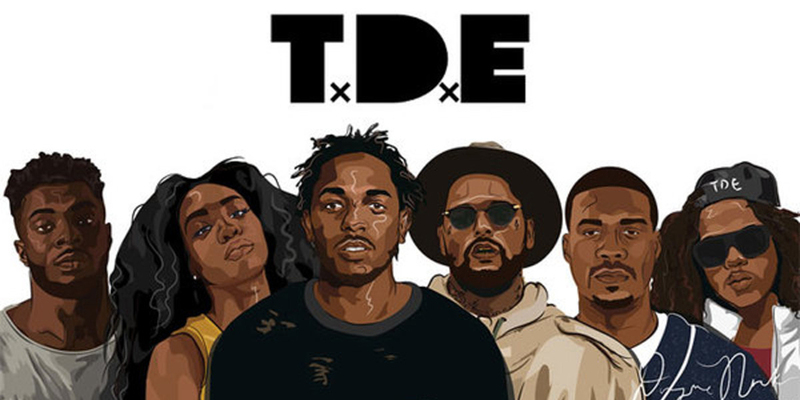 On the TDE side, we’ve got Kendrick Lamar, Schoolboy Q, Jay Rock, SZA, Ab-Soul, Isaiah Rashad, SiR, Lance Skiiiwalker, and the recently signed Reason. That seems to split to me. Up until J. Cole signed a distribution deal with Interscope in 2014, Dreamville was not a label. It was a concept, turned brand, turned organization, that eventually got its wings to resource artists once the ink was dry. 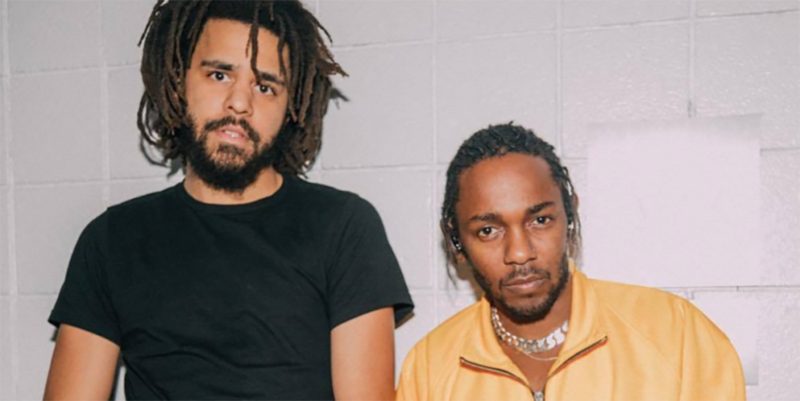 Now, J. Cole, a rapper from Fayetteville, North Carolina, owns a label that’s not only in the conversation of the hottest rosters in hip-hop but it’s arguably a more accomplished brand than Top Dawg and his TDE label too. Ibrahim Hamad, Cole’s manager, is the president of Dreamville Records and also J. Cole’s close friend who he schooled with at St. John’s University. It shows they’re a tight-knit group, which translates through the music. It’s clear these acts were hand-selected by Cole, which makes it even more interesting when they’re matched up against Kendrick and company. The ever ambitious and soundly calculated label from the West Coast was founded in 2004 by Anthony Tiffith, better known as “Top Dawg” — they’ve had a chokehold on the game ever since. This year, Kendrick Lamar produced the soundtrack to the Summer blockbuster, Black Panther, which hit number one spot on the Billboard 200 list (making it the first soundtrack to top the Billboard list in three years) and in 2017, Kendrick Lamar and SZA frequented the Billboard’s with their perspective albums, DAMN and CTRL dominating the airwaves. But I think JID has a point — there are similarities. When placed side-by-side, does one even stand out more than the other? If we’re judging by this year, J. Cole has the edge simply off output. Let’s just say you didn’t enjoy fifth studio album, KOD (which sold 397,000 units in its first week earning him his fifth number one album), he’s killed every feature he’s been on this year. His verse on”My Boy” on Wale’s Free Lunch EP is stilled talked about and it’s almost Christmas. His verse on “Boblo Boat” for Royce Da 5’9″‘s Book of Ryan album was a face-melter, and his collab on 6lack’s “Pretty Little Fears” was one of the year’s most pleasant surprises. Not to mention he’s bodied a host of other countless features this year too. Kendrick hasn’t been as available. Having not released a solo album this year, the production we have from him include feats on the Creed II soundtrack and the Black Panther soundtrack. Kendrick is going to get his time again — just not this year. Bas vs ScHoolBoy Q is an interesting one. Again, while Q might be more respected, with hits like “Man of the Year” doing better than anything Bas has ever put out, he hasn’t released anything since 2017’s Blank Face and hasn’t been on many features either. Meanwhile, since Bas’s 2016 sophomore LP, Too High To Riot, which peaked at #49 on the Billboard 200 chart, he’s released is a third studio album, Milky Way, earlier in August this year, which was well received as well. I’d give this one to Q if he would have at least put out some content, but the void gives Bas the upper hand here. 2-0 Dreamville. Can you believe it’s going on five years since the last release of Ab Soul’s Do What Thou Wilt? The 2016 spiral of spiritual musings was okay at best, but it’s hard to put that over Cozz’s Nothin’ Personal which also came out in 2016, or his debut studio album, Effected, which dropped in February of this year. Effected gave us another Kendrick verse with “Hustla’s Story”, and provided LA sounds that Ab-Soul has failed to give us in silence. I have to side with Cozz on this one as well. TDE just might have the edge on this match-up. Although released last year, SZA’s Ctrl simply cannot be understated. The album sold 60,000 copies in its first week of availability, exceeding predictions of only 45,000. It also earned SZA the title of the most-nominated woman at the 2018 Grammys, with five different nominations. Stand-out tracks such as “Love Galore” and “The Weekend” was on every radio station around the country, giving her platinum status. SZA is also everywhere — SNL, GAP, you name it. She’s boosted R&B and elevated TDE whilst being the only woman on the label. Ari Lennox, on the other hand, has not had her moment yet. The Dreamville first lady’s last body of work came in 2016 with her 7-track LP, PHO. Since, she’s released the single “Whipped Cream,” which came out this year, as well as “Shae Butter Baby,” which was featured on this year’s Creed II soundtrack. Ari has a great sound and definite star power, but she’s not touching SZA just yet. JID talks a big game and his debut album is really good, but J Rock’s Redemption is arguably the album of the year. The 31-year-old Watts, California native was the first to sign with TDE and has proven his OG status with his debut studio effort. With single’s “Win” and “King’s Dead,” it’s clear Jay Rock is in his prime and in his bag in a way JID has not quite gotten to. Redemption is one of the most complete albums of this year with hardly any skippable songs. JID’s DiCaprio 2 still has something to prove. The last thing Omen released was on Dreamville collaborative effort, Revenge of the Dreamers II which came out in 2015. His debut studio album, Elephant Eyes, was also released in 2015, but there hasn’t been much production from him otherwise. On the other hand, Isaiah Rashad’s The Sun Tirade, though released in 2016, because of the response, easily gets him this round. More people are looking for Isaiah Rashad given his absence — not Omen — but that may change. It looks to me that JID is right. They have a real chance to put their feet down and take ahold of the game. TDE’s 2019 is around the corner though.